Albert Morgan was born on 26th June 1879, the seventh of ten children and the third of five sons born to Matilda and Thomas Morgan. [i] The Morgan family had arrived in Wellington New Zealand in 1842 on the ‘Birman’ and then moved out to farm in the Takapau Valley, Tawa Flat. Albert and his siblings were born in the Takapau Valley and later attended the Tawa Flats School. The 5th Contingent landed at Beira, Mozambique in April 1900 joining the 4th New Zealand Contingent, the 6th New South Wales Imperial Bushmen, the 5th New Zealand Contingent formed the 2nd Brigade of the Rhodesian Field Force. [iii] Private Cook was awarded the Rhodesian clasp for the time spent crossing Rhodesia and also he was paid 5 shillings a day during the time spent ‘crossing Rhodesia' between 1 April until 9th May 1901. 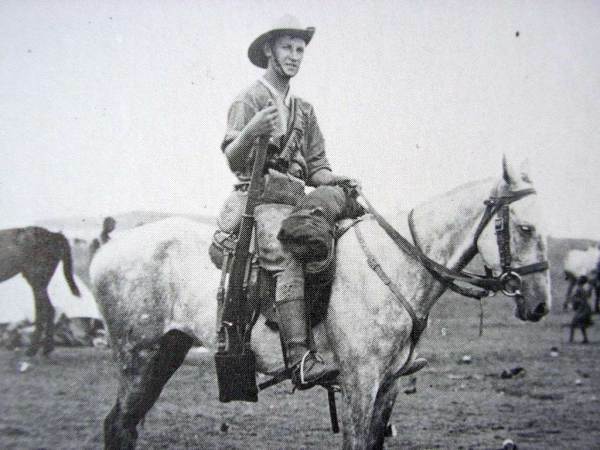 [iv] The 2nd Brigade entered Northern Transvaal, initially moving towards Mafeking with the two NZ Contingents then moving towards the Elands River where a large Boer force was laying siege to Braikfontein Drift held by a force of Australian and Rhodesians. The 4th & 5th NZ Contingents were to the north of Braikfontein when a relieving column, lead by Lord Kitchener reached Braikfontein from the south. The 5th Contingent were then involved in operations in Western Transvaal from August 1900 through to the end of May 1901 with engagements like Ottoshoop, Buffelshoek, Ventersdroop Vyeborg and Harteestfonteing. Trooper Morgan returned with the 4th and 5th Contingents and was welcomed back to civilian life with a celebration at Tawa as reported by the Evening Post on 8th August 1901. Trooper John Nathaniel Cumings served as SA 84 Shoeing Smith in the 1st Contingent and like Albert Morgan was a Primitive Methodist. Albert Morgan was awarded the Queen’s South Africa medal with clasps for Rhodesia, Transvaal, Cape Colony and date clasp1901. Two of Albert’s older brothers, twins Edward and Henry, and a younger brother David also served in later New Zealand Mounted Rifle Contingents sent to South Africa. In 1903 Albert married Charlotte Ellen Hope the couple had at least five children. Albert Morgan’s death in Ellerslie, Auckland was reported as 3rd March 1955 by his widow Charlotte.